The announcement of Diablo: Immortal, the mobile-only follow-up to Blizzard’s popular action RPG, wasn’t exactly greeted with open arms by fans at last year’s BlizzCon. 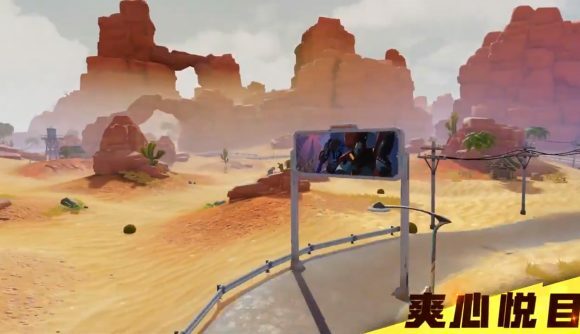 The game is being co-developed by Chinese gaming giant NetEase, which it turns out is also creating a game that looks suspiciously similar to Fortnite. Originally called FortCraft in English, NetEase’s mobile battle royale is now called BuildTopia, and it’s currently in a closed beta phase with more than a million pre-registrations, according to Daniel Ahmad, a Niko Partners analyst who writes about the videogames market in China and Southeast Asia. While the art style is heavily reminiscent of Fortnite’s cartoony aesthetic, BuildTopia also seems to be pulling in ideas from other popular games-of-the-moment: there’s the blocky mining from Minecraft, for one thing, and it reportedly includes aspects of Apex Legends as well. There are even snowboards, which you might recognize from Tencent’s Ring of Elysium. Now, in fairness, NetEase is a massive company that owns and operates lots of games for the Chinese market. And it’s also true that the battle royale genre in general has been characterized by a lot of lifting and iterating on existing ideas. But BuildTopia – yikes. It’s hard to get around the fact that so much of it looks exactly like Fortnite, from the wall-building mechanics to the character animations and the position of the over-the-shoulder camera. Diablo fans have alleged that NetEase is simply reskinning one of its existing games, Crusaders of Light, to create Diablo: Immortal, but Blizzard has denied the suggestion, telling USGamer that Diablo: Immortal has been built “from the ground up” for iOS and Android. Still, the sight of something this derivative hasn’t endeared NetEase to the hearts of western fans.